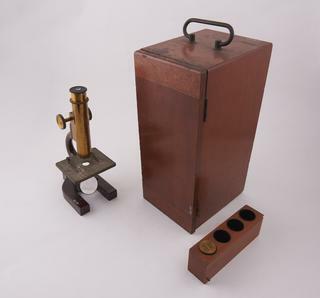 Items used by Louis Pasteur, 19th century. 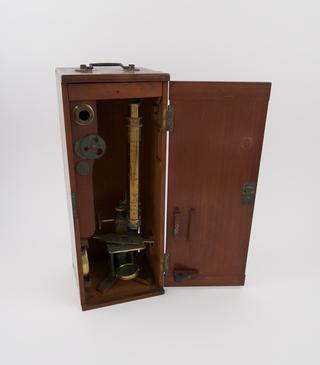 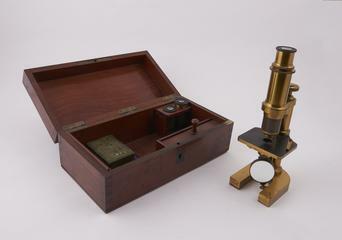 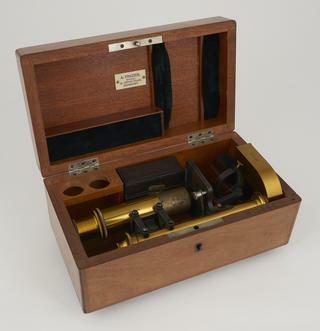 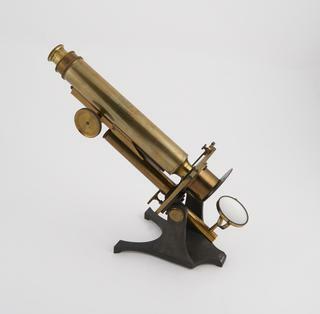 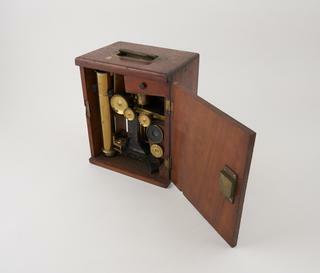 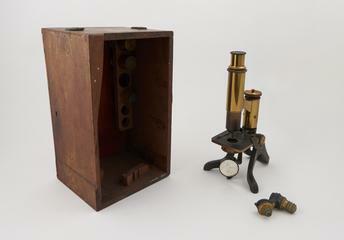 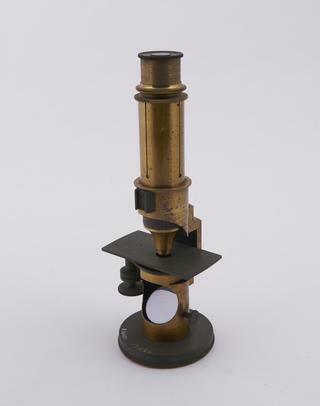 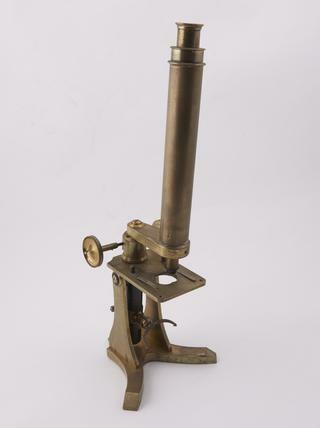 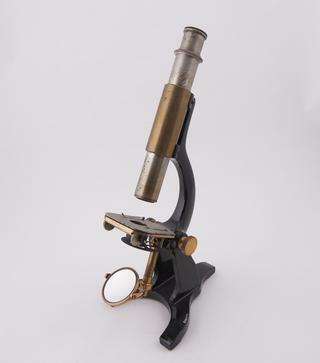 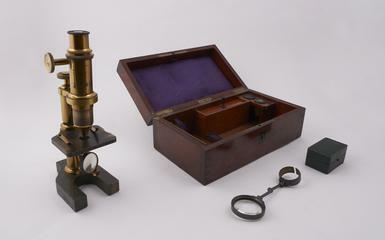 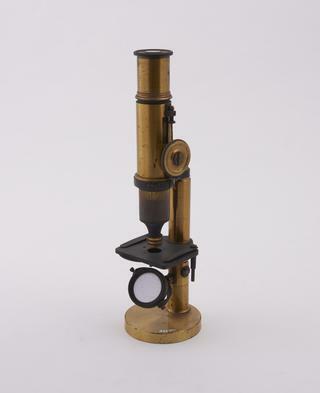 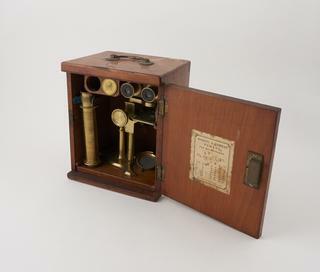 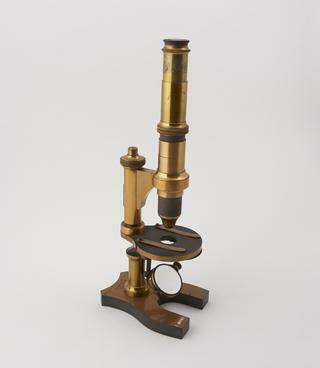 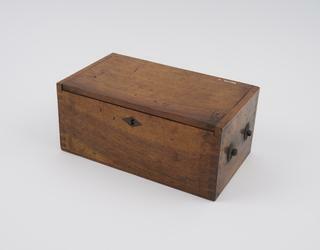 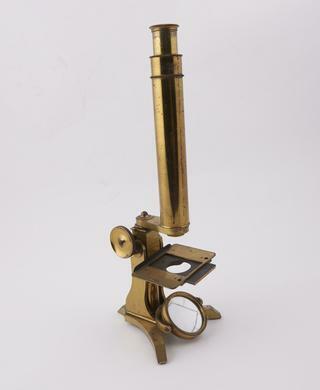 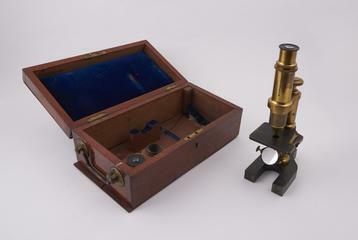 Student microscope in case, by S & B Solomons, 39 Albemarle Street, London, mid 19th century. 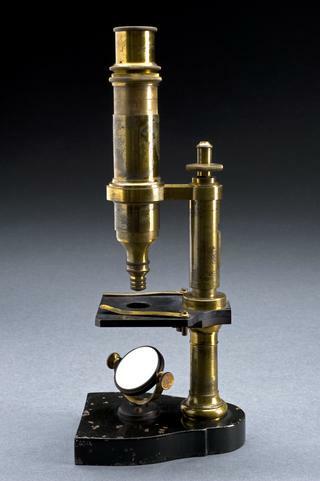 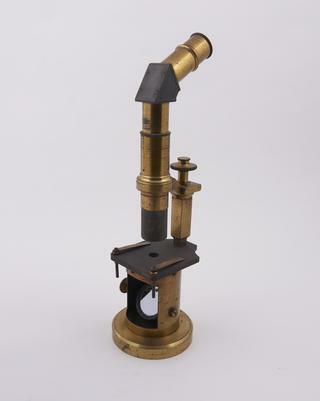 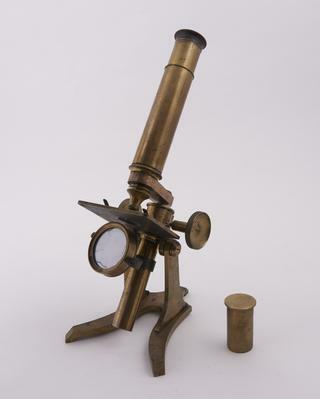 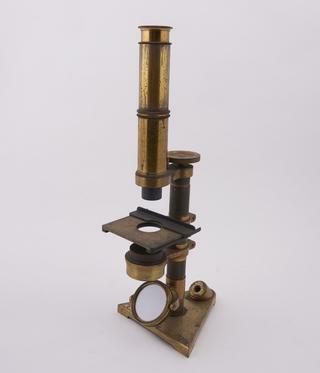 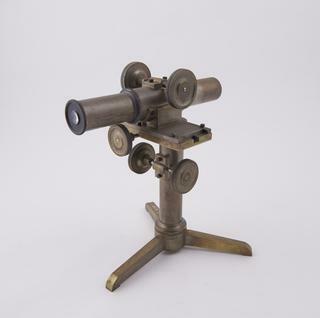 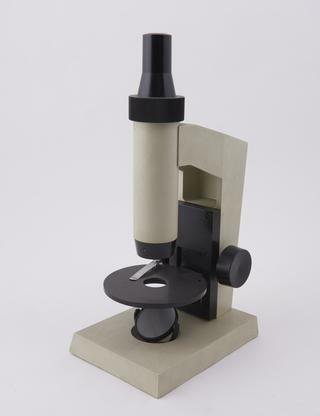 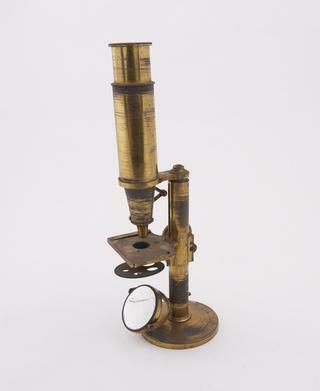 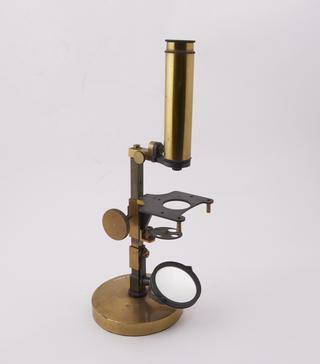 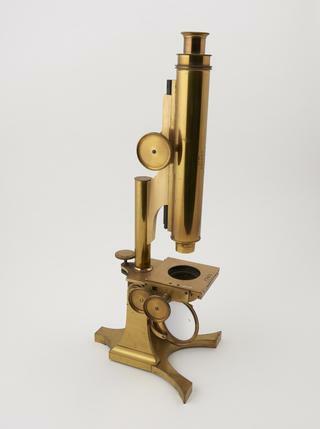 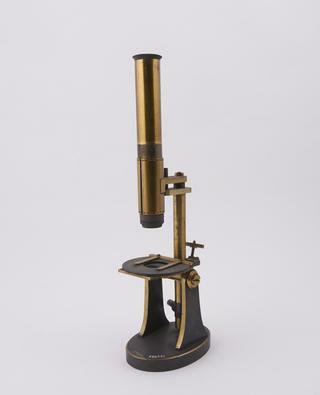 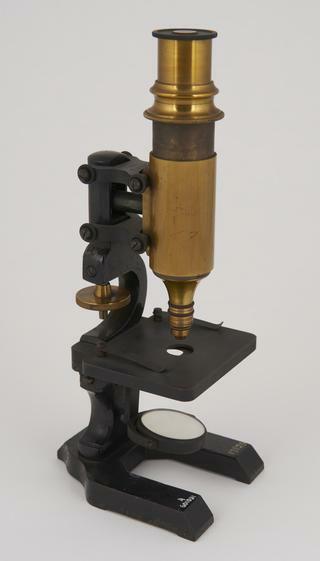 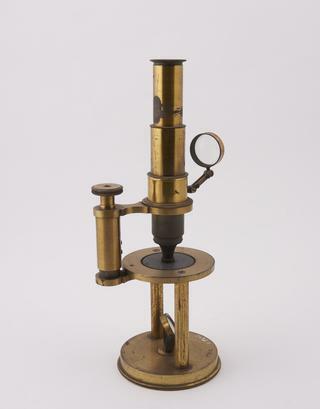 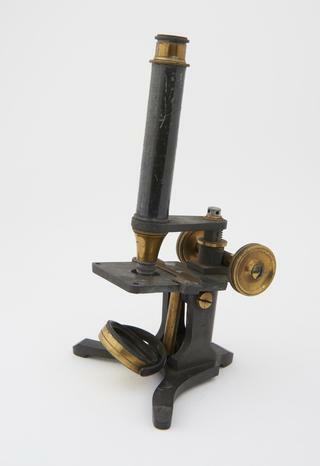 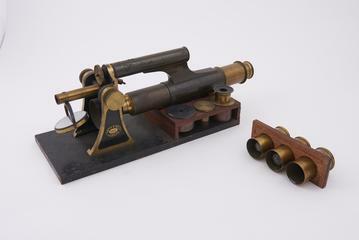 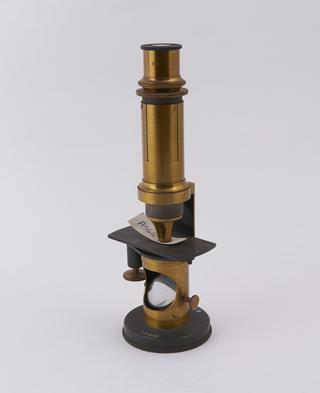 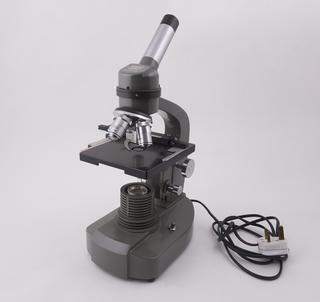 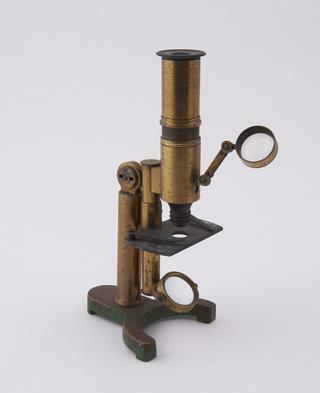 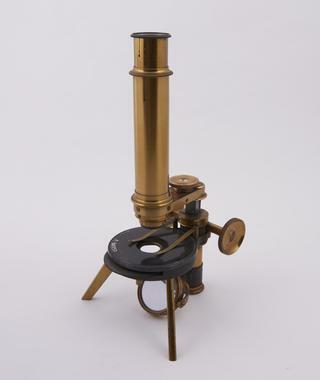 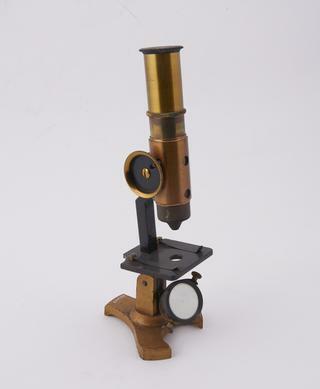 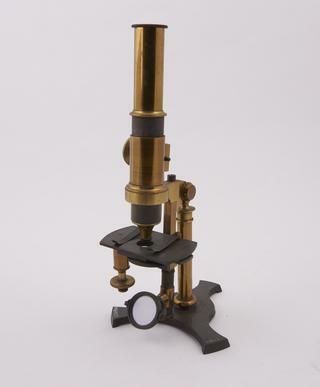 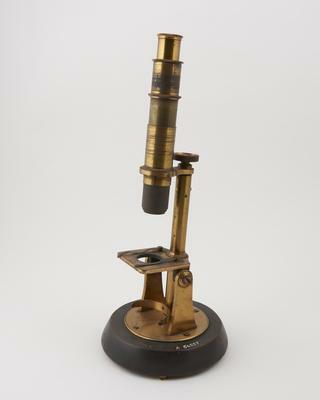 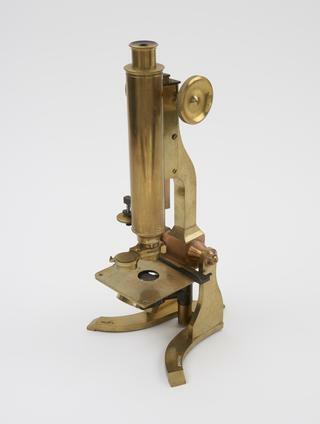 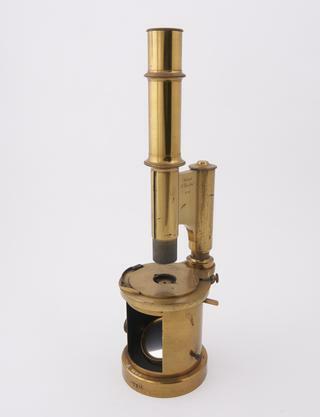 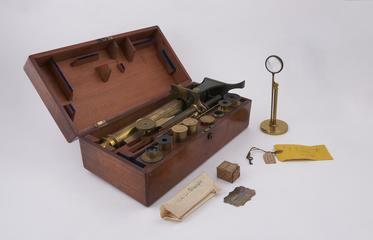 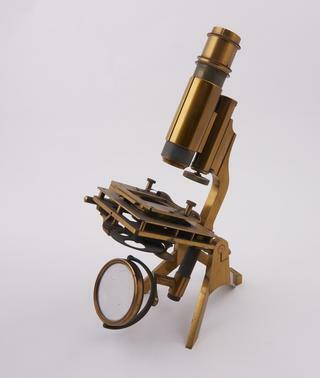 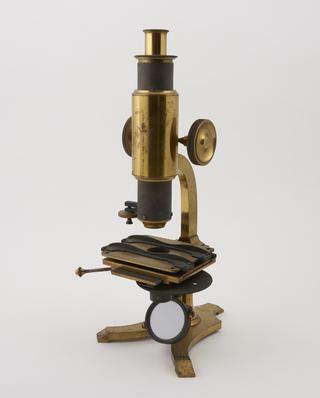 compound achromatic Student microscope with lever stage, in case, with accessories, by Bernard Davis, 430 Euston Road, London, c.1875. 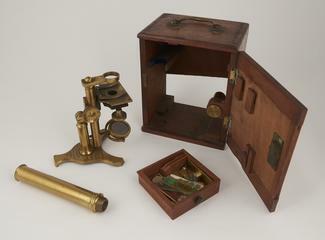 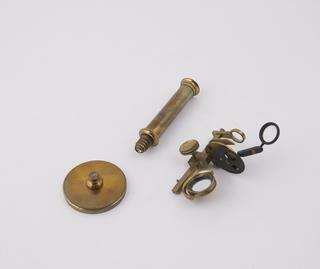 accessories include five object lenses (one incomplete), two eyepieces, rotary stage mechanism, glass slides, drawer of slides (unused).